Tony Petkovsek has been on daily polka radio since 1961, an unprecedented 50 years. His popular music and community service show, he produces and announces, is interspersed with interviews of civic, travel and entertainment personalities and is heard for two hours, Monday thru Friday from 2 till 4PM and Saturday from Noon till 2PM on WELW-1330AM and also simulcasts worldwide on the internet at WWW. 247PolkaHeaven.Com. For some 40 years the programs had been done on location at the former Tony’s Polka Village/Polka Tour Headquarters of Kollander World Travel on East 185th Street and now from his own studio broadcasting live at his condo-home at Harbortowne Point in Fairport Harbor, Ohio. Prior to 1981 he was on the FM stations of WXEN, WZAK, WBOE and Cleveland Public Radio WCPN. As a former Vice President and co-owner of Kollander Travel, Tony originated the very first polka music tour in 1967, and hosted and arranged for thousands of polka fans on nearly every continent and has been known from Alaska, Hawaii, and Europe to South America, the Carribean and even Australia, as Cleveland’s Polka Ambassador. He remains with the travel agency as group travel consultant. 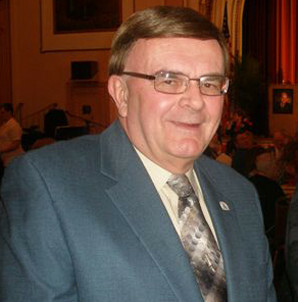 Tony established a core volunteer booster group, his own Cleveland Slovenian Radio Club committee. Many community projects ensued over the years raising thousands of dollars through “Radiothons” for the Slovene Home for the Aged and for the then new independent country of Slovenia to be recognized by the US government in 1991. This Radio Club sponsored Thanksgiving Festival events since the early ’60’s at the Slovenian National Home on St. Clair Avenue; St.Joseph High School on E. 185th Street; and for the last two decades at the first class Marriott Hotel at Key Center in downtown Cleveland, attracting thousands of fans from over 20 States, Canada, and Europe as the premiere Cleveland-Slovenian style event marking the show’s anniversary. 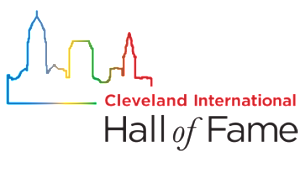 In 1987, almost 25 years ago, Tony Petkovsek called the initial meeting that eventually formed the American Slovenian Polka Foundation, sponsors of the National Cleveland-Style Polka Hall of Fame, where he has served as founding chairman ever since. He was enshrined by popular vote as a Lifetime Achiever in 1992. With some 1500 members, the organization boasts of a recognized music museum and retail store located in Euclid, Ohio. Tony also helped to organized some of Cleveland’s largest outdoor festivals on E. 185th Street as a volunteer on the board of Northeast Shores Development Corporation. As a former resident and businessman in the E. 185th Street former Mayors Voinovich and White appointed Tony to the Board of Zoning Appeals at Cleveland City Hall. He later served Governor Voinovich on the Ohio Arts Council and also emceed two gubernatorial innaugurations in Columbus for longtime friend George Voinovich. Some 100 awards,and proclamations were presented to Tony Petkovsek in his 50 years on the scene by international, national, state, county and city representatives and organizations for his contributions the community. Amongst the most outstanding were 44 years ago in 1967 at age 25, the Slovenian Man of the Year as the youngest individual for the Federation of Slovenian Homes. In 1991 he was inducted into the National Broadcasters Hall of Fame. With the distinction of hosting longest daily polka and nationality radio show he credits the assistance from colleagues Alice Kuhar, Mark Tome, Duke Marsic, Patty Sluga and Joey Tomsick. He is Vice President and an owner of WELW radio along with Ray Somich. Tony Petkovsek considers his “family as those associated directly with him plus the thousands who have followed his promotions and good will.